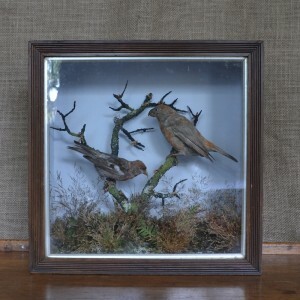 Alexander von Westenholz | Taxidermy; Birds: Spicer, Rowland Ward, Gerrard, Cullingford, Duncan - Victorian cased birds specialists. 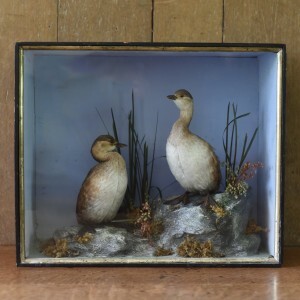 A pair of Victorian Little Grebes by Henry Shaw in excellent condition. A beautifully mounted pair of Victorian nightingales. A good example of Slavonian Grebe in naturalistic setting. Taxidermy: A pair of Manx Shearwaters. A Victorian case by Ashmead and Co.
A very nicely mounted Gannet by Henry Shaw.